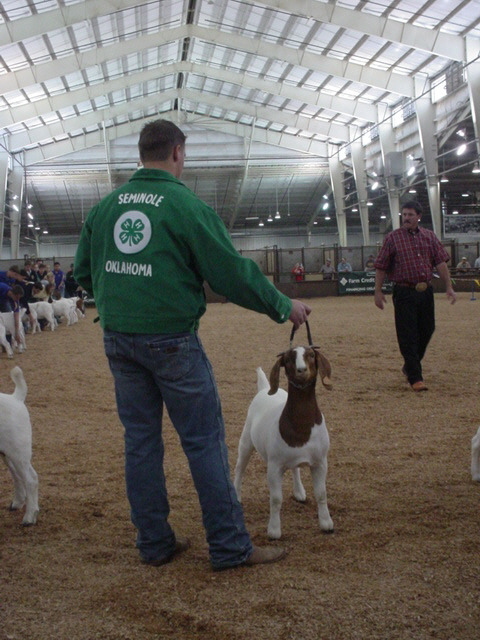 Our first trip to OYE (Oklahoma Youth Expo). 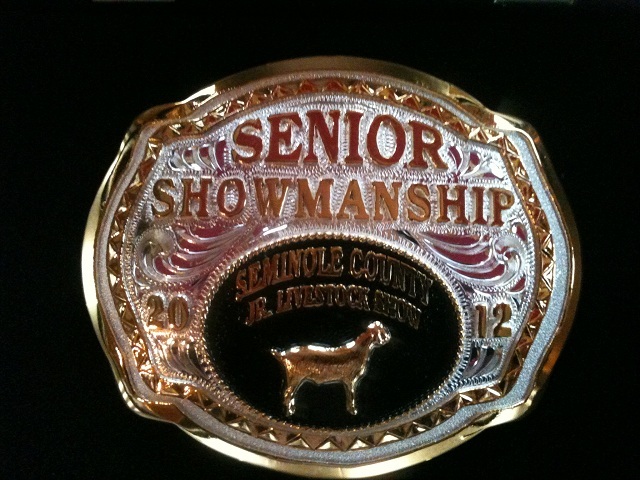 Seth placed 11th in Showmanship out of 70+ exhibitors!! 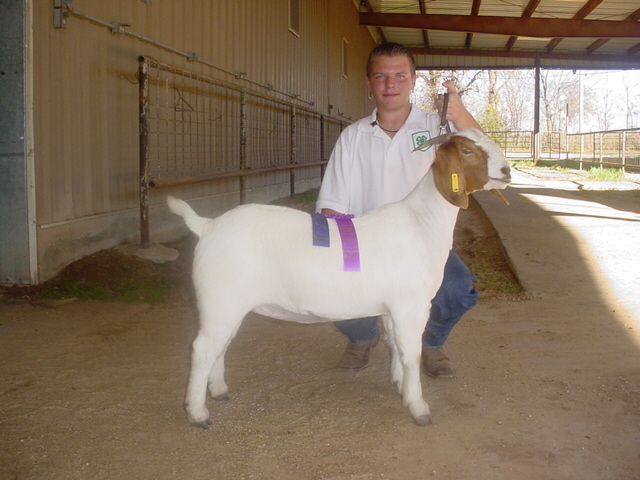 Seth & Gatlin's Painted "Booty" win Intermediate Showmanship & Grand Champ Doe at the Semnole County Fair 2010!! 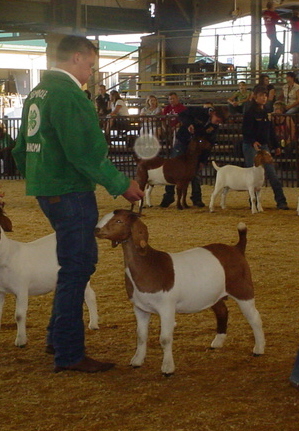 Seth & "Booty" place 5th out of 31 kids at the Tulsa State Fair 2010 Showmanship Contest! 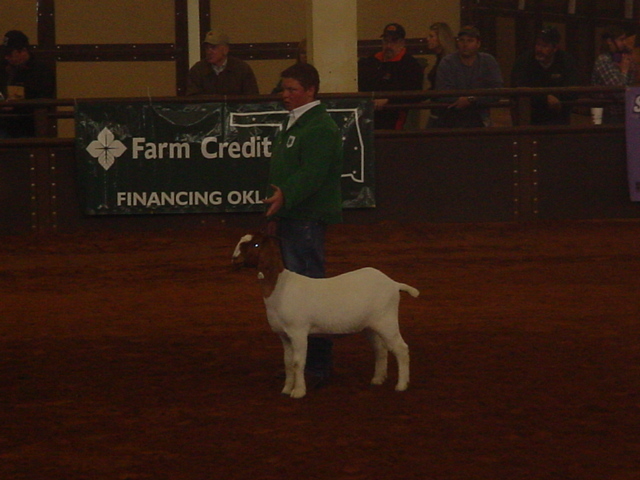 Seth & Right On Target placed 7th out of 55 in the 15 year old Showmanship Competition at the Oklahoma Youth Expo 2011! 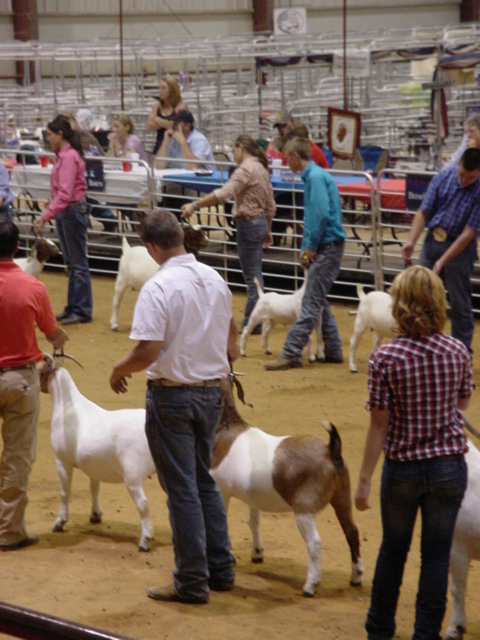 Seth & Booty competed in the 2011 Junior ABGA National Showmanship ages 15-18 in West Monroe, LA & placed in the top 10!! 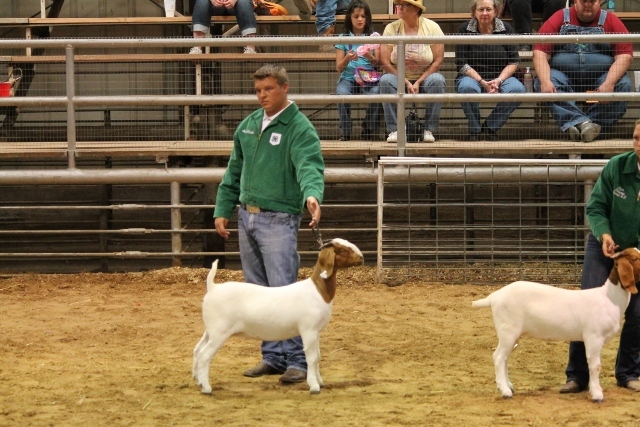 Seth & Wonder Woman place 5th out of 40+ kids at the OKC State Fair 2011 Sr. Showmanship Contest!! 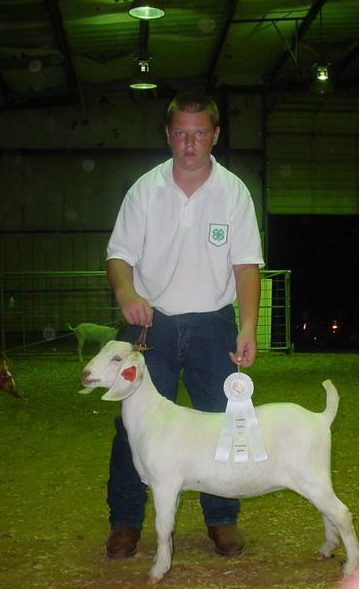 Seth was always so intense when he was competing for showmanship!!!!!! 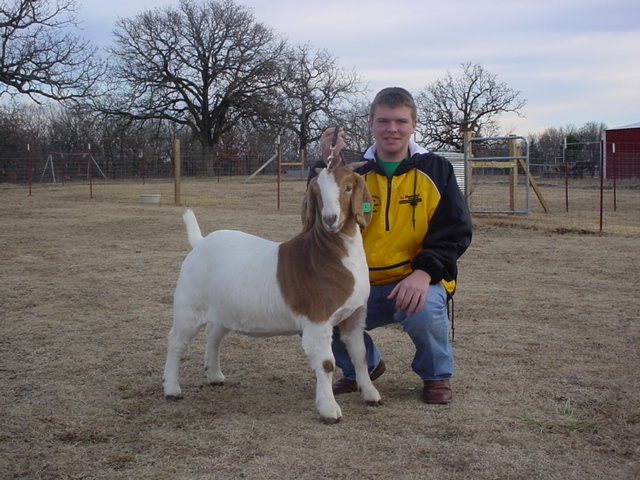 Seth & Wonder Woman compete in the National JABGA Showmanship June 2012. Seth & Wonder Woman were in the top 5 exhibitors who were pulled to compete!!! 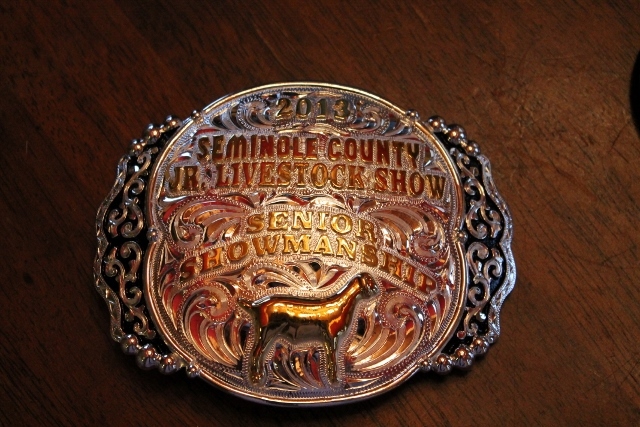 Seth & TGF4 Four T's Rump Shaker won SR. Division Showmanship at the Seminole County Fair 2012!! Showmanship was the most important win!! 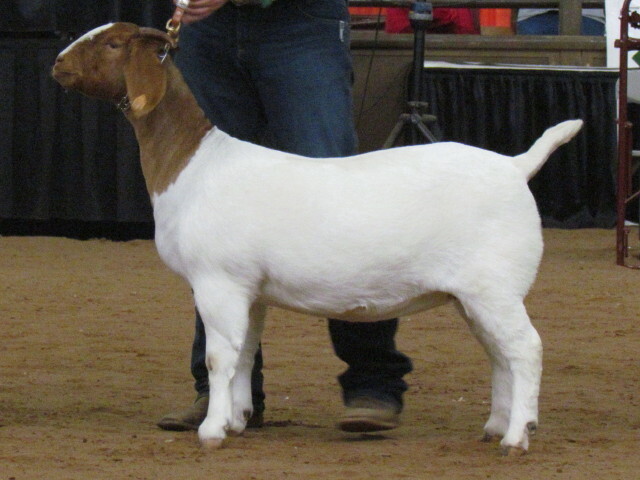 Seth & Wonder Woman place 6th out of 40+ exhibitors in the 2012 OYE 16 year old Showmanship contest. 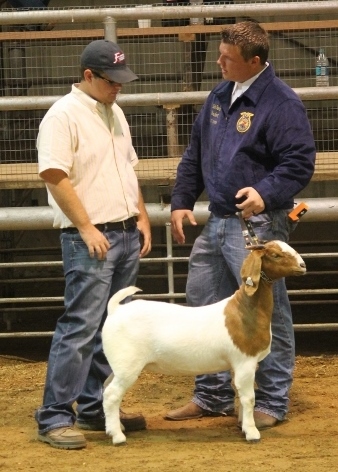 Seth in deep discussion with the judge in Sr. Showmanship at the Seminole County Fair 2013. 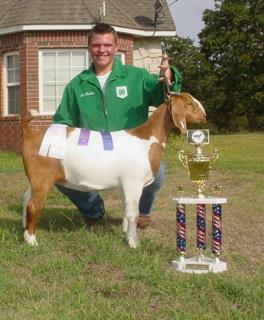 Seth is the first Seminole High School FFA member to ever show meat goats & to win a goat showmanship. 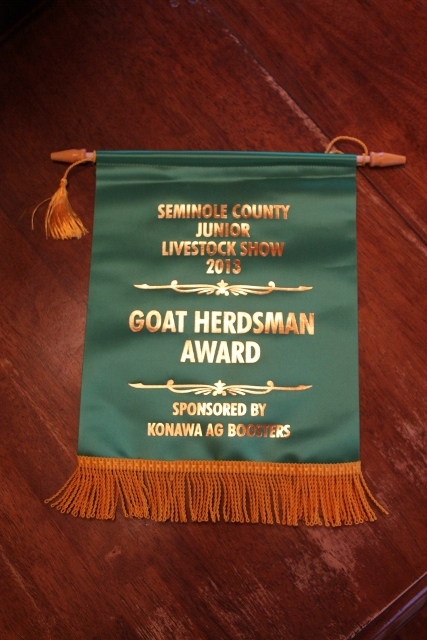 Seminole High School has not had an FFA program since 1972. Seth was the new chapter's President & received his new FFA jacket right before entering the ring--he made us all proud by bringing home the Grand Champ Doe, Reserve Grand Doe & Sr. Showmanship!